刘亭睁, 张志波. 金属蛋白酶7及金属蛋白酶19在胆道闭锁幼鼠动物模型肝脏组织中的表达[J]. 中国医科大学学报, 2017, 46(12): 1071-1075, 1081. LIU Tingzheng, ZHANG Zhibo. 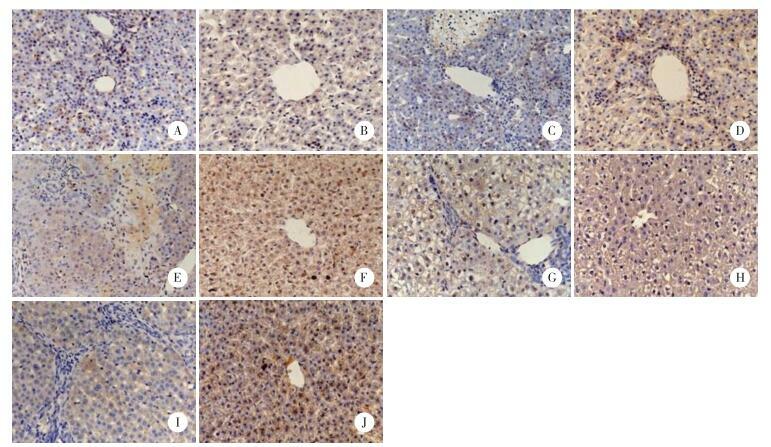 Expression of Matrix Metalloproteinase-7 and -19 in Liver Tissues of Rats with Biliary Atresia[J]. Journal of China Medical University, 2017, 46(12): 1071-1075, 1081. Abstract: Objective To detect the expression of matrix metalloproteinase (MMP)-7 and MMP-19 in the liver tissue of young rat models with biliary atresia (BA) and to explore their roles in progressive fibrosis.Methods Totally 132 Wistar newborn rats were subjected to common bile duct ligation (BDL) at day 3 after birth to establish animal models of biliary atresia. Sixty-two young rats served as the control group. Liver tissues were collected at days 3, 7, 14, 21, and 28. 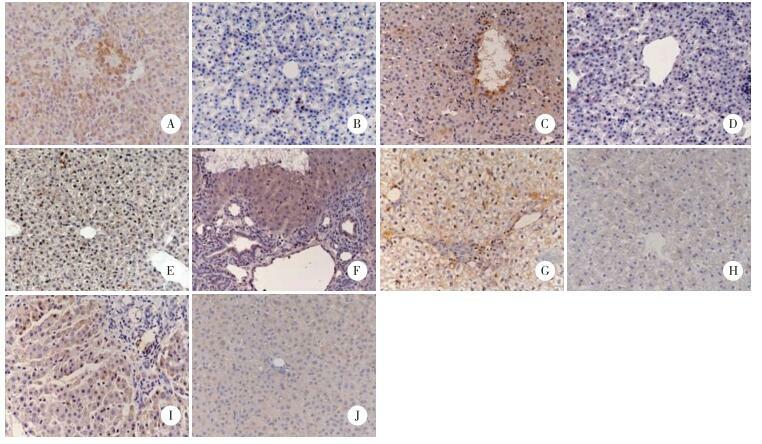 Immunohistochemistry, Western blotting, and RT-PCR were used to detect the expression of MMP-7 and MMP-19.Results The BA models manifested cholestasis as early as 24 h after BDL. 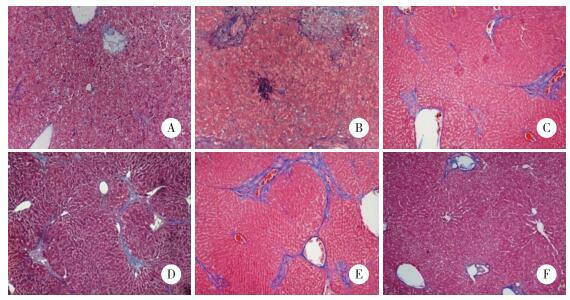 HE and Masson staining revealed progressive hepatic fibrosis. The expression of MMP-7 was observed to increase with time and was significantly higher in the experimental group when compared to control. The expression of MMP-19 was also found to gradually increase with time; however, it was lower than the control group.Conclusion MMP-7 and MMP-19 may be involved in the fibrosis of biliary atresia. 1）P < 0.01；2）P < 0.05 vs control. LOWELL JA, SHENOY S, MOLLESTON J, et al. 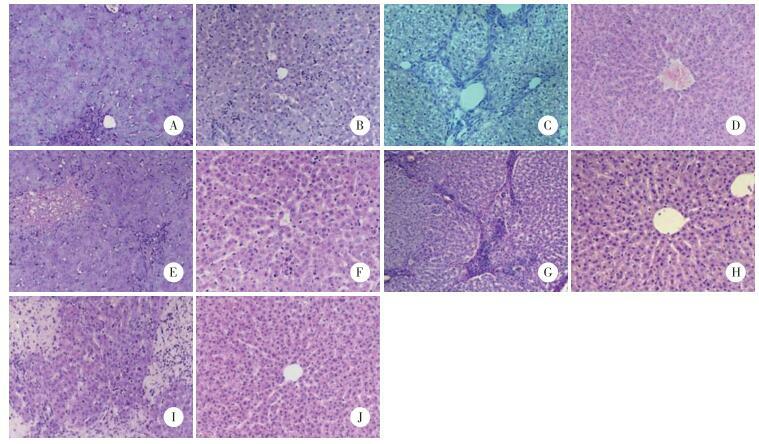 Long-term results with the Kasai operation for biliary atresia[J]. Arch Surg, 1996, 131(11): 1235.